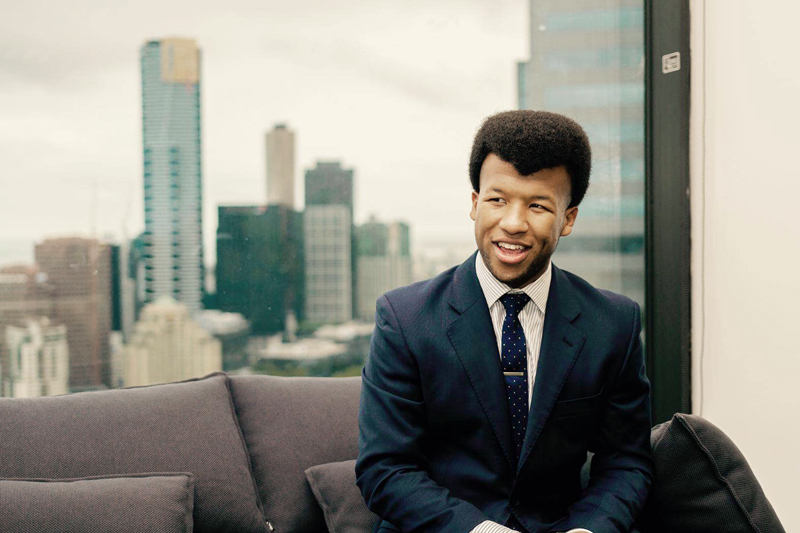 Uber is in more than 450 cities around the world, and BCom graduate, Daniel Odoi, who joined their Melbourne team under the company’s graduate program shares his experience with us. Ridesharing app, Uber, has disrupted the traditional business model of point-to-point commuting. Originally designed to link riders with drivers of premium cars in metropolitan cities, the popularity of the app has seen the business grow into a global organisation that is “changing the logistical fabric of cities around the world,” according to Uber. The company has also created a new income platform for people looking for flexible working options, while stimulating commuter choice and transport options. With claims it has also contributed to reduced drink driving on our roads, the broader positive impact to society is evident. Returning from Montreal, Canada in February 2015 where he had participated in the International Case Competition program, Odoi was give the opportunity to join Uber as a part-time support representative. With plans to see Europe after his degree, Odoi jumped at the chance to save up for the trip, and accepted the offer to begin working at the company’s funky Cremorne office. Soon after, around the time of his graduation, a graduate role became available. “I was incredibly lucky to have joined the team during such an exciting period and haven’t looked back since!” said Odoi. His current role as Operations Coordinator sees him managing the communications and engagement experiences of driver-partners across the Australia-New Zealand region. In fact, this is precisely what attracted him to the BCom in the first place. “I chose to major in Economics because I believe there is a fundamental beauty in the concepts, assumptions and models that can be derived from it. Beyond being useful for hypothesising and rationalising economic outcomes in markets, I’m constantly amused at how many seemingly ‘non-economic’ day-to-day observations can often be attributed to some form of economic theory,” he said. During discussion around how he has carried his BCom learnings forward into his current role, Odoi quickly noted that teamwork and collaboration were key functions. Do your homework: Everyone is entitled to an opinion but it’ll carry far more weight and credibility when it is backed up by data and research. Working in an environment whereby decisions have to be made with relatively short notice means that research and comprehension skills are crucial. Having a healthy balance: My BCom, although I didn’t realise it until afterwards, emulated the experience of working full-time. Whilst the allocation of time is significantly different, both instances require a disciplined approach towards managing short-term and long-term priorities as well as managing stress and keeping yourself happy. This is absolutely paramount to success in any field you choose to pursue so the undergraduate experience is definitely the time to get into gear. Bachelor of Commerce graduates are highly sought after, and are valued for the depth of their education and their broad range of skills.